New Jersey is among the standard-setters for encouraging solar development and providing an incentive to the rapidly-growing residential and commercial solar market. It is among the few states that have removed the sales tax requirement from system installation expenses. New Jersey has also ruled that clean-energy improvements cannot increase the tax number of a given property (although the value of that property is unquestionably increased), and the state’s SREC market is the largest in the nation (and certainly among the most valuable, thanks to recent legislation which increased the percentage of the state’s energy that originates from clean, renewable sources). 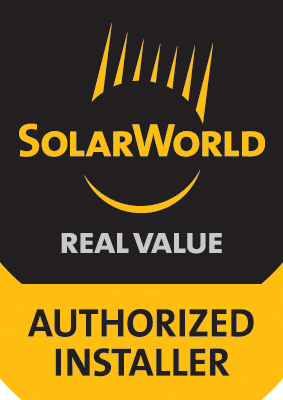 Although there are currently no broad grant programs for solar system installations, making the switch to solar is still a smart, money-saving decision for homeowners and a profitable investment for businesses. With the 30% Federal tax credit, the 25% USDA grant on eligible systems and the booming SREC market, Smucker’s Energy continues to help New Jersey residents take control of their energy costs and further advance New Jersey’s clean energy initiative. The USDA REAP is a “competition” grant, meaning that grants are non-guaranteed and are organized according to the requested amount (below $20,000 and above $20,000, also referred to as “Unrestricted”). Applicants within their respective categories are essentially competing against each other for grant money. Grants are paid out according to technical merit, energy efficiency, project readiness, and more. There are specific annual application deadlines for the grant—for 2016 and presumably, beyond, the $20,000 or less deadline is October 31st, and the Unrestricted is April 30th (similar to Tax Day, these dates automatically adjust to the closest following business day). The USDA conducts an on-site inspection of all awarded systems, and following approval they send their grant payment via the SAMs systems as soon as “[the applicant] fully utilizes the funds from [their] matching share” (per the USDA website). Projects must start construction within 24 months of receiving the grant.